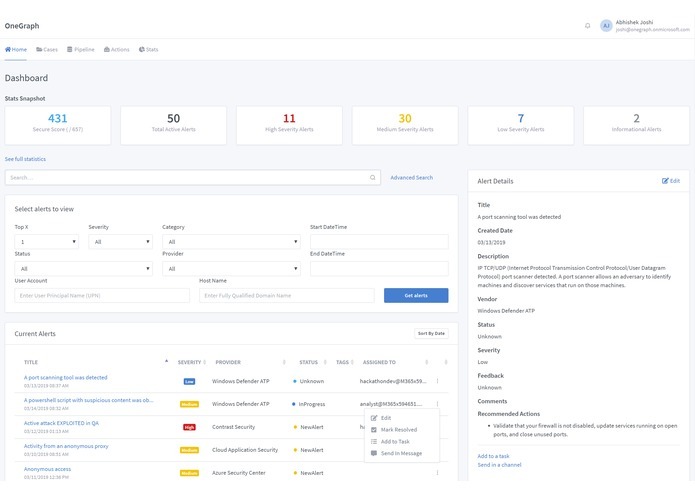 I wanted to showcase the capabilities organizations have to increase their overall security using the Security API and the Microsoft Graph, with Microsoft's productivity suite (Planner and Teams), to investigate alerts and coordinate responses to possible security threats. 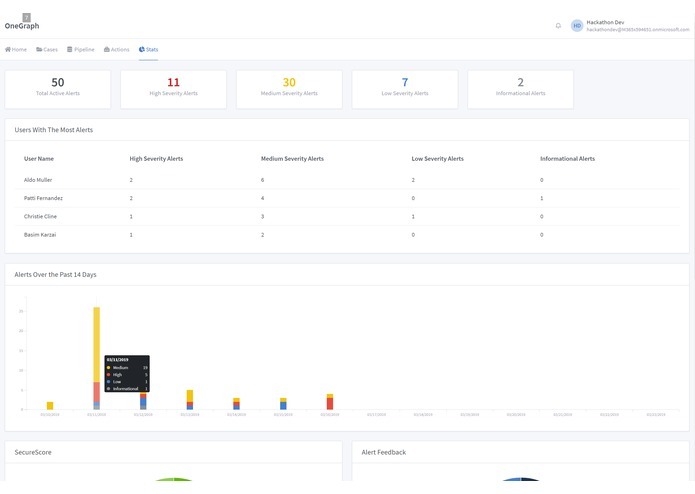 OneGraph enables organizations to investigate, analyze, communicate, and respond to security alerts with speed and intelligence using the Microsoft Graph. 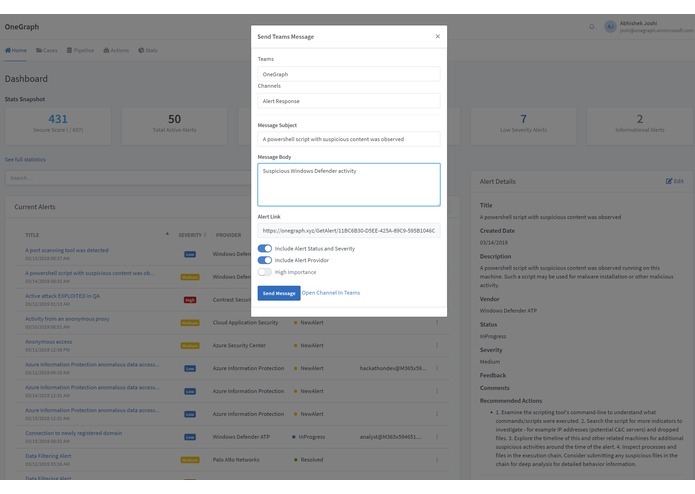 After signing in, users can use OneGraph's dashboard to efficiently view, search, and update security alerts to add information and make quick responses. 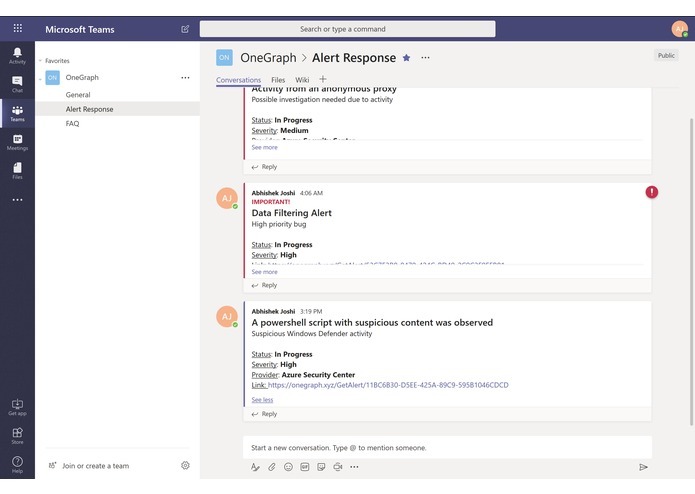 OneGraph additionally integrates with Microsoft Teams so you can send messages to your team with alert information and coordinate a response. 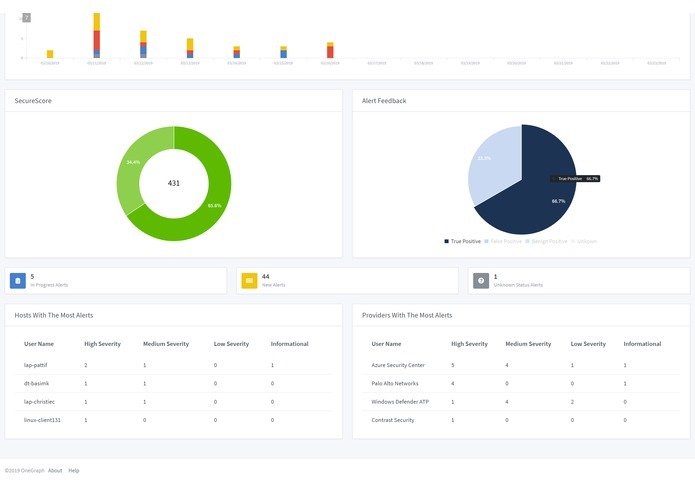 With the Stats page, you can view information about your Secure Score, active and historical alerts, and tenants who have the most alerts (including users, providers, and hosts). 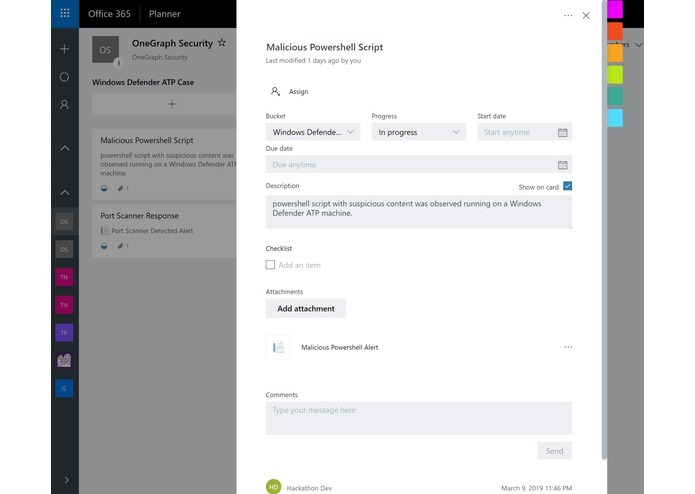 Finally, OneGraph integrates directly with Microsoft Planner to allow users to investigate and plan responses to security threats by linking alerts to tasks in Planner. OneGraph is built with ASP.NET, hosted on Azure, and powered by the Microsoft Graph. I had some issues in finding suitable SSL certificates that I could use for the demo site (www.onegraph.xyz) without spending too much, but was able to use Let's Encrypt and an open sourced Azure WebJobs extension to provide certificates for OneGraph. While building the app, I additionally ran in to some OData errors with a request I was trying to make with the Graph client, and ultimately created an alternative approach for the same functionality. 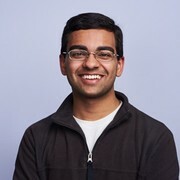 As a student, I had never made an enterprise-facing application before, and really enjoyed learning about Azure Active Directory and the Microsoft Graph to make OneGraph as an application for people in organizations to use for responding to security threats. In addition, through building numerous view models, controller actions, and views with Razor syntax, this project was my deepest dive in to ASP.NET development thus far! 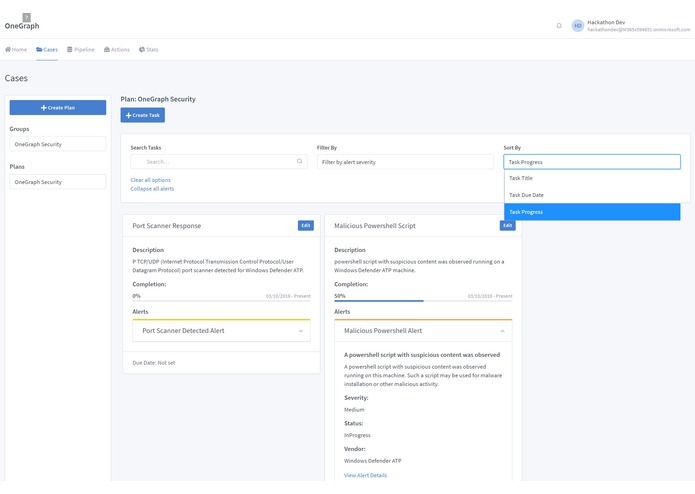 I would love to extend the current OneGraph application to enable users to add machine learning automation for processing and responding to alerts from the Security API. Student at the University of Washington - Seattle.